India’s 5th largest GSM mobile service operator Aircel today announced the launch of exiting IVR based Value Added Services India’s first ever Interactive, Detective mobile series “Kriminal Kaun”. 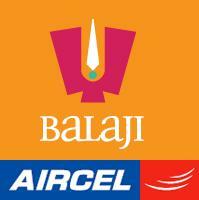 This Interactive, Detective series, is introduced by New Media which is the digital arm of Balaji telefilms Ltd. The Kriminal Kaun Audiosodes stories will be available in in Hindi or Tamil language and gripping and focus on mystery be it murde, Kidnap or Robbery. There is a fresh series every week like ‘Crime in Fashion World’, ‘The Trap’, ‘Wedding Night Murder’. Each Audio Series has 4 episodes and updated daily. In the first episode the Aircel subscribers get to hear the story; the second episode focuses on investigation. While with the third episode is dedicated purely to subscriber interaction where they get to guess the “Kriminal” in the series and in the fourth episode the detective Inspector Avinash solves the crime. This exiting VAS will be available to all Postpaid and Prepaid subscribers of Aircel across India at monthly subscription charges of Rs.30 and browsing/access charges 10 paisa per minute for IVR portal. Hi Sanjay! BSNL is going to launch various plans on 15 may on pan India basis. I have read it in today’s newspaper. Please collect that information & give us. Nowadays, BSNL is also behaving like Vodafone, in copying Airtel’s plans… For example, see the PPS plan in Prepaid.. But roaming tariff is atleast better in BSNL, than Airtel and Vodafone..